The influence of African print in Western Fashion is revitalizing the industry and transcending the way African Fashion is used. What started off as a trend with well known designers going for an “exotic vibe,” is now seemingly becoming a mainstay. With such vibrant colors seen in the diverse array of African textiles – Super Wax, Dutch Java, Ankara, Bogolan, Batik, Bazin, Kente – one thing is for sure, fashion is becoming more bold. To get an insiders perspective on this cultural impact in the fashion industry we interviewed Uchechi Emenogu, the creator and designer of Menogu Designs. At the young age of 24 she is making her dreams a reality by doing what she is passionate about. To learn more about this young designer, the inspiration behind her company, and the legacy she hopes to leave behind, read her interview and maybe you too will become inspired to pursue your true passion! 1. Please provide a brief introduction/description about your company. 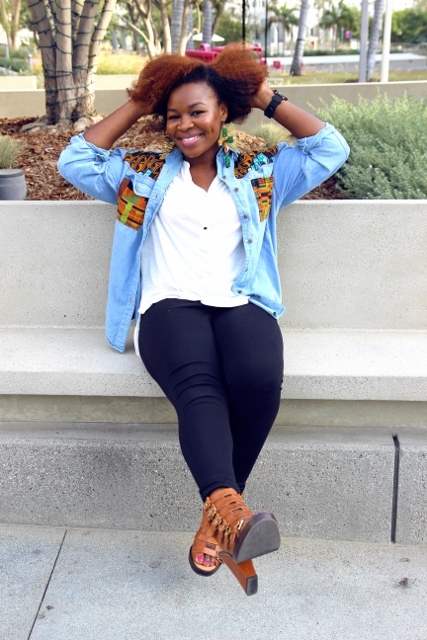 Menogu Designs, Inc. is an up & coming, Los Angeles based, African Inspired Apparel brand with a growing effort to promote African fashion all over the world. All of the pieces are custom, authentic, and 100% hand-crafted. By capturing art in a very abstract way, we can continue to keep Africa in the forefront of fashion design and spread its pieces to customers internationally. 2. What inspired you to start Menogu Designs and how did you go about starting this business? Since childhood, I have had a natural talent in crafting and constructing custom designed accessories and clothing with African inspired prints. I first started crocheting & Knitting in High School, then when I found some spare time while in college, I managed to purchase a sewing machine and started making my own clothes. Naturally, I was drawn to African fabrics. I am now 24 and I still love crafting, just the same way I did back in high school. 3. What is the significance behind your company’s name? 4. What cultural inspiration can be found in your designs? Are there specific patterns or garments that are tied to a certain culture? 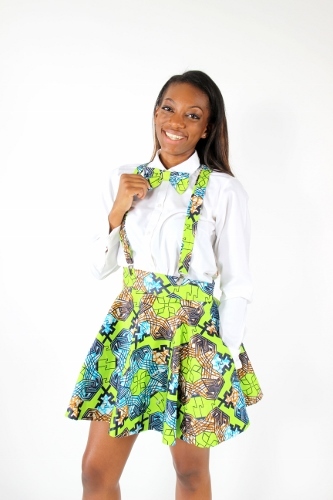 I am from Nigeria so most of the fabrics stem from my Nigerian background and are in some way, inspired by Africa. 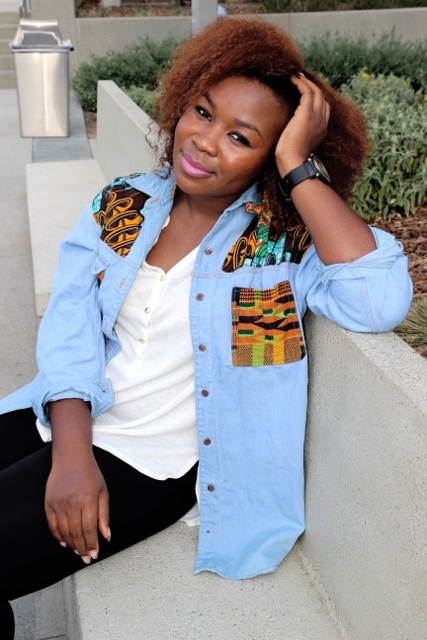 I usually use variations of Ankara, a name used to describe a variety of African Wax Prints. 5. Imagine your merchandise tells a story about the culture your clothing is inspired by, what would you want shoppers to walk away with? What story do your clothes tell? My inspiration is Africa – Nigeria to be specific. When shopping with Menogu Designs, I want customers to understand that you don’t have to wear full African attire (from head to toe) to express your interest in African culture and textiles. 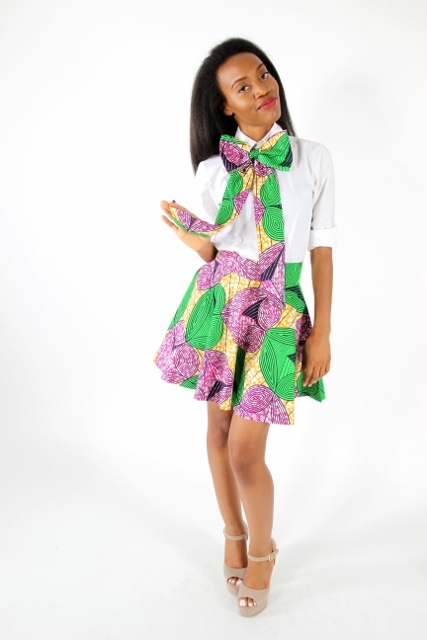 You can simply be stylish in an African inspired hat, skirt, bow, or tie – give a lot, in a little. Menogu Designs’ African inspired Apparel seeks to express that African prints can work in many ways, at any place or time. You can wear it to school, work, at home, or even to the grocery store. Customers should be able to feel comfortable in Native prints and incorporate them in their outfits just like they would wear something purchased from the mall. African prints can be simple, or luxurious, but most of all, we want to see it worn out and about, every day with comfort and pride. 6. What type of women embody what your company stands for? 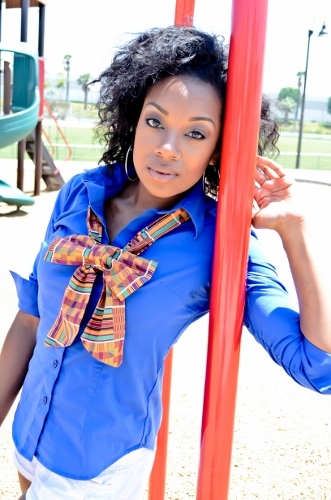 Menogu Designs, Inc. aims for a customer who is stylish, chic, and willing to push boundaries in fashion. 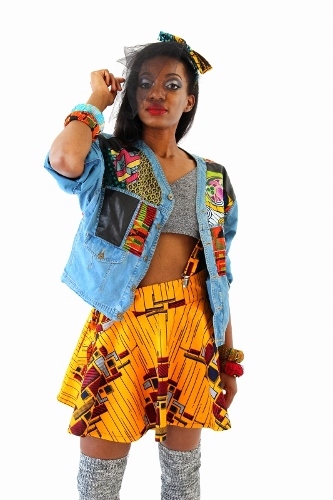 Our garments and accessories are Bold, Afrocentric, and Beautiful. 7. What influence do you hope your company has on the fashion industry as a cultural ambassador? Ultimately, I wish for Menogu Designs to spread internationally. By default, Menogu Designs naturally appeals to African culture because most of the fabrics come from Africa and many individuals of African descent already have a connection to it. But it is not about the color of the skin, or where you are from. Menogu Designs is about how you feel. We hope to break the cultural barrier that African fabrics usually carry and spread our lovely culture worldwide for everyone to see. Africa is a beautiful place with a lot of history. Its beautiful textiles deserve to be embraced. Menogu Designs Giveaway and Discount! If you love what you have seen from Menogu Designs today could be your lucky day! In addition to the Giveaway we also have a 20% discount code for your entire purchase. Just enter the code: MENOGU20 at checkout – offer expires November 1, 2014. Deadline: You have until September 15th at 11:59 PM to enter. We will announce the winner on Twitter and Facebook on September 16th, so don’t forget to follow us to see if you’ve won! The Giveaway is open only to people living in the USA. Models: Seyi Famuyiwa, Nina Okoye, and Chelsea W.
This entry was posted in Beauty and Fashion, Cultural Inspiration in Fashion, Giveaways. Bookmark the permalink.